Can Uganda make it with Miya? Farouk Miya may not be household name in world football, but he has made great strides with the Ugandan national side. The 18-year-old has notched an impressive tally of 12 goals in 23 appearances for the Cranes. Uganda have struggled to make progress in African football over the past decade with Geoffrey Massa being the only reliable option upfront. There had been occasions where it took efforts from the backline to get into the scoresheet. However, Miya looks to have answered the country's plea, and he could be the ideal player to take the Cranes forward. 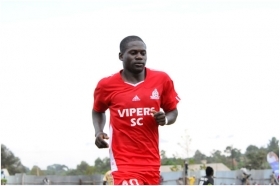 The talented attacker currently plys his trade for Vipers SC in the Ugandan Super League, where he is commonly known as 'Muyizi Tasubwa', a Luganda saying meaning 'a hunter who cannot miss'. The youngster played an influential part in Uganda's qualification for the final round of the World Cup 2018 qualifiers as he bagged three goals in a 4-0 aggregate mauling of West African giants Togo. It will be interesting to see whether Miya can stand-out in the final qualifying round, and guide his nation to their first ever World Cup finals in Russia.